ABC-7 Eyewitness news interviewed our clients about the settlement, and that video was posted Thursday, April 16. Watch the report here. WGN-TV also did a report on the case. Watch the video here. 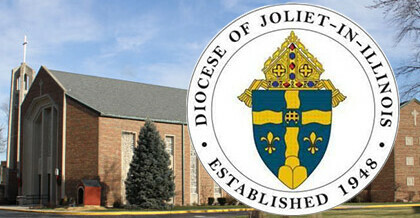 The Roman Catholic Diocese of Joliet has agreed to pay $4,137,500 to resolve the claims of fourteen (14) men who were the victims of abuse by priests of the Diocese from the 1960’s through the 1980’s. The men are represented by the Chicago-based law firm of Hurley McKenna & Mertz, PC., and the Seattle-based firm of Pfau Cochran Vertetis Amala PLLC. Seven men have come forward and brought new suits against the Chicago Presbyterian Church, the Archdiocese of Chicago and related organizations due to the harm caused by the sexual abuse they endured at the hands of Presbyterian minister Douglas Mason of Chicago. Mason was previously accused of sexually abusing boys in the 1990s. Four of those plaintiffs settled for a confidential amount, believed to be $11 million. Read more to see the documents.